A lifestyle and activity programme to attract football fans has been launched by the Leicester City Community Trust. EuroFIT runs across 12 weeks and is aimed at Foxes fans to promote healthy lifestyle changes through their loyalty and attachment to Leicester City Football Club. 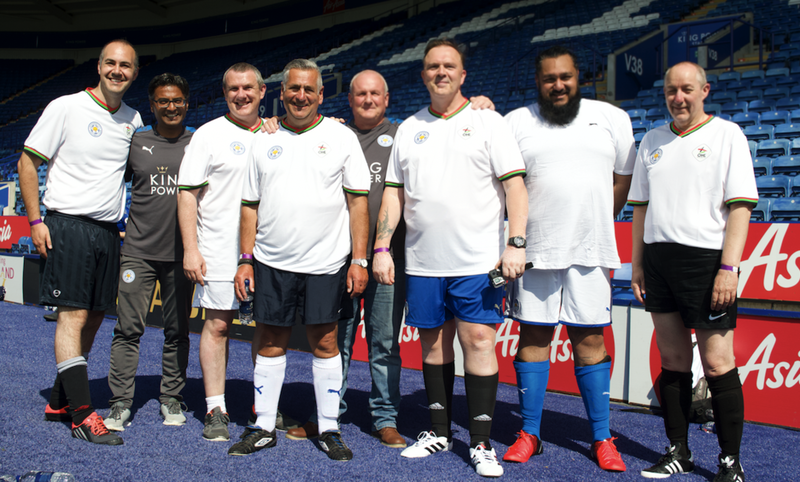 It starts on Tuesday, June 26 at the King Power Stadium with an information session and men who have a body mass index (BMI) of 27 and above are being encouraged to sign up and take part. EuroFIT helps men to increase their activity levels, while providing the information, skills and techniques required to get fit and feel better. Sessions will take place on Tuesdays with two start times which are 10am and 630pm. Academic lead Dr Deirdre Harrington, who has been working on the Leicester Changing Cities programme, said: “We’ve been working in partnership with Leicester City and recently they kindly allowed us to station ourselves outside the stadium to carry out diabetes risk scores on fans. In addition, new players are also being invited to participate in the new Leicester Man v Fat League, which has been created for men who wish to lose weight via playing their favourite sport. Every player is in the same situation and wants the same thing - to enjoy football, lose weight and get healthier. Uniquely, the league is decided not just on points won, but pounds lost. Support is given to to every player with unique resources, inspiration and 24/7 support to help them lose weight, get fitter and enjoy the beautiful game of football. The course runs for 14 weeks every Monday from 6:30pm until 8:30pm at the English Marytrs School. To join, visit the Man V Fat website by clicking HERE. To express your interest and for more information, please email Matt Bray on matt.bray@lcfc.co.uk.